Across the country, this winter has been harsh. Nearly every U.S. state has been impacted by the extreme weather; so of course, you’re planning a trip to get away. March can be a busy travel month with most students having a week off of school for spring break and most people ready to escape the winter weather. Because of the increased volume in travel, many websites will have deals and promotions. While you may be eager to book that cheap hotel room or flight, don’t be fooled by scammers. According to the American Hotel & Lodging Association, 23 percent of consumers report being misled by third-party traveler resellers on the phone or online. This leads to a loss of money and chaos for consumers. Research. Quickly do research on the third-party site you are using through a Google search. Search for the site’s name and words like “scam,” “complaint,” and “review” to see if other consumers have been tricked by this site. Call to confirm. Call the airline or hotel to confirm your reservation. There may be an issue if they do not have a record of your booking. Double check the URL. Before clicking on a link, carefully check to make sure there are no misspellings, extra letters, and make sure the site URL begins with https://. Pay with a credit card. Booking accommodations with cash or check can leave you unable to prove the purchase or receive any help from customer service, like you would if you paid by credit card. Through your credit card company, you can file a report and dispute the charges if you fall victim to a scam. Use accredited apps. Consider using accredited apps like Hopper, Airbnb, HotelTonight, Kayak for deals and more. These apps have 5-star ratings, plenty of reviews, and come recommended by many. In order to make your trip planning more enjoyable, use the best travel apps and your instincts to book accommodations and enjoy your trip. If you are unsure about a particular website or deal on a hotel or flight, do not book it before doing research on it. 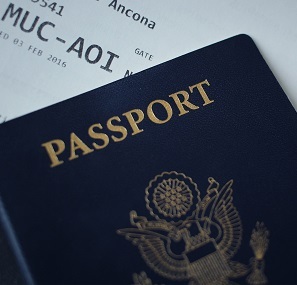 For more information on travel scams, or more tips to keep you safe, use trusted resources like the Federal Trade Commission (FTC) or AARP.